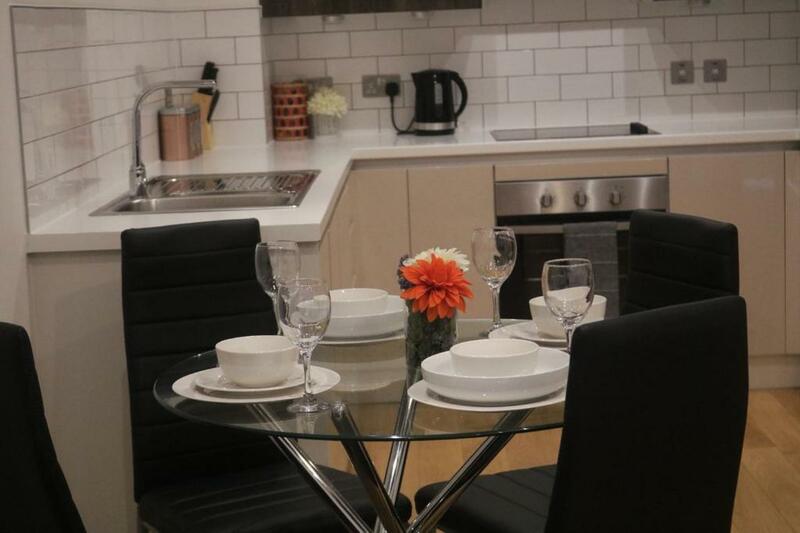 Lock in a great price for Chapel Street City Pad - rated 9.8 by recent guests. 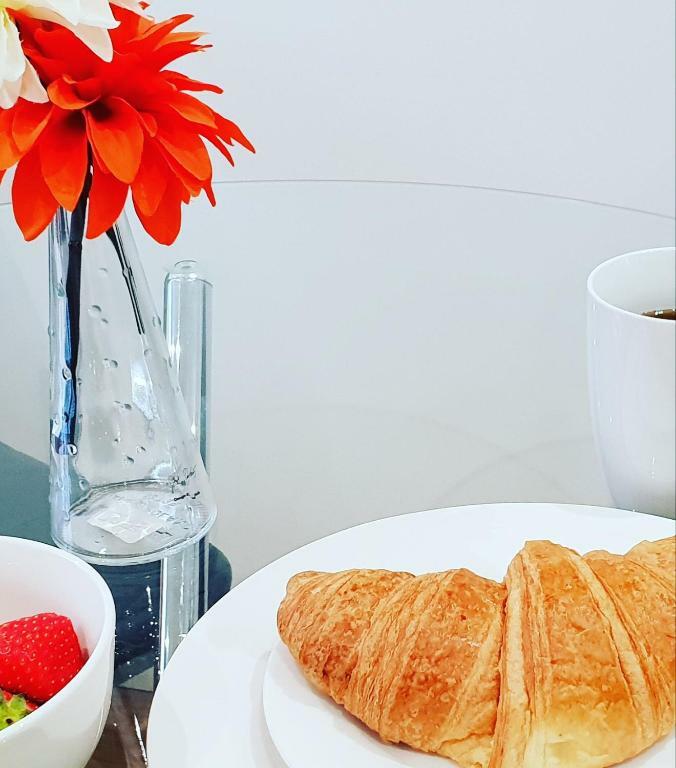 Set within 750 yards of Royal Exchange Theatre in Manchester, Chapel Street City Pad features accommodation with free WiFi and flat-screen TV. 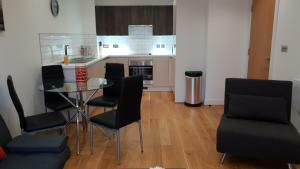 The units provide views of the city and come with a washing machine, a fully equipped kitchen with a dishwasher, and a private bathroom with free toiletries. There is also an oven, microwave and a kettle. Popular points of interest near the apartment include Deansgate, The Opera House and Manchester Arena. The nearest airport is Manchester Airport, 9.9 miles from the property. Chapel Street City Pad has been welcoming Booking.com guests since 8 Jun 2018. When would you like to stay at Chapel Street City Pad? House rules Chapel Street City Pad takes special requests - add in the next step! A damage deposit of GBP100 is required 7 days before arrival. This deposit is fully refundable during check-out as long as there has been no damage to the property. Bankcard Chapel Street City Pad accepts these cards and reserves the right to temporarily hold an amount prior to arrival. Please inform Chapel Street City Pad in advance of your expected arrival time. You can use the Special Requests box when booking, or contact the property directly with the contact details provided in your confirmation. Please note that the check-in and key-collection take place at: Further details to be provided upon booking, M3 5JY Manchester. A damage deposit of GBP 100 is required. The host charges this 7 days before arrival. This will be collected by credit card. You should be reimbursed on check-out. Your deposit will be refunded in full in cash, subject to an inspection of the property. Good location, clean and comfortable. Recommended! We had difficulty finding the apartment at first but after we were informed to tell taxi drivers Vimto Gardens there were no issues however they didn’t seem to recognise the name of the apartment. We were £600 for 3 nights however this was over Parklife weekend and quite reasonable in comparison to other apartments. The apartment was lovely and clean and the building was quiet. The co-op shop down stairs was also very convenient.